Levenson Smile in Worcester MA combines a comfortable office environment with tools to calm even the most anxious patients. There many types of anesthetics for dental phobia, a more severe form of anxiety where sufferers are so scared of the dentist that they don’t get the oral care they need to stay healthy. Anesthetics are medicines to prevent, reduce, or control pain or sensations during procedures. If you’re fearful, anesthesia provided by Dr. Levenson also has a calming effect. For many of the more than 80 percent of Americans with some level of dental fear, unpleasant early childhood experiences are to blame. The American Association of Endodontists further reports 40 percent of those fearful patients only seek treatment during emergencies. Since the level of fear varies from person to person, Dr. Levenson customizes anesthesia to your needs. 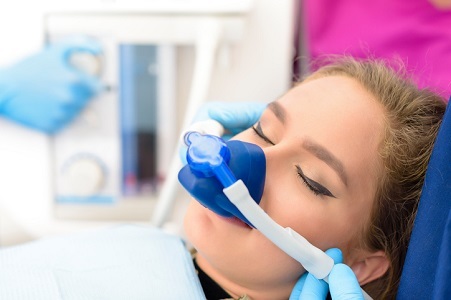 Nitrous oxide may be suggested for more modest cases of dental fear. The effects of “laughing gas” are neutralized by oxygen. If fear has kept you away from the dentist, Levenson Smile may recommend oral conscious sedation. A member of Doctors for Oral Conscious Sedation, Dr. Levenson is among a select group of dentists in the area trained and qualified to offer this type of sedation. After consulting with you, a calming medication is carefully selected to suit your needs. When taken as prescribed, the drug induces a state of relaxation. You’re awake and able to respond to the dental team, but fears and cares about the procedure and surroundings float away. You’ll have little to no memory of treatment afterward. Lingering fear related to the dental experience is eliminated. Since every patient’s preferences are different, Levenson Smile also offers a natural option: NuCalm. 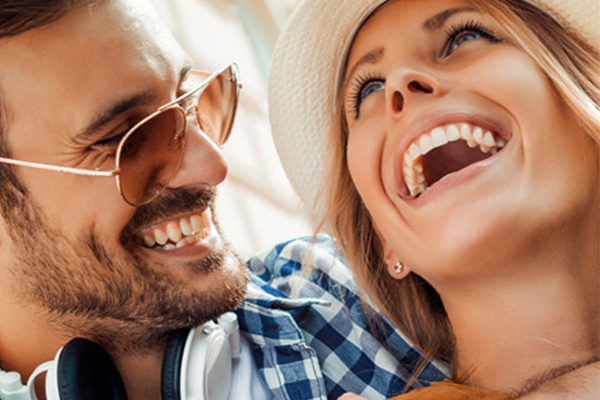 Relax and reveal your unforgettable smile, created by Dr. Levenson. Call (855) 849-8255 to schedule your consultation.